We challenged chefs of three different levels – an amateur, a home cook and a professional chef – to make their versions of spaghetti & meatballs. And then we brought in a food scientist to review their work. What does a pro chef add to the meatball mix? Should you pour oil in your pasta water? When should you add a carrot or an orange or into your sauce? And what’s the Maillard Reaction? 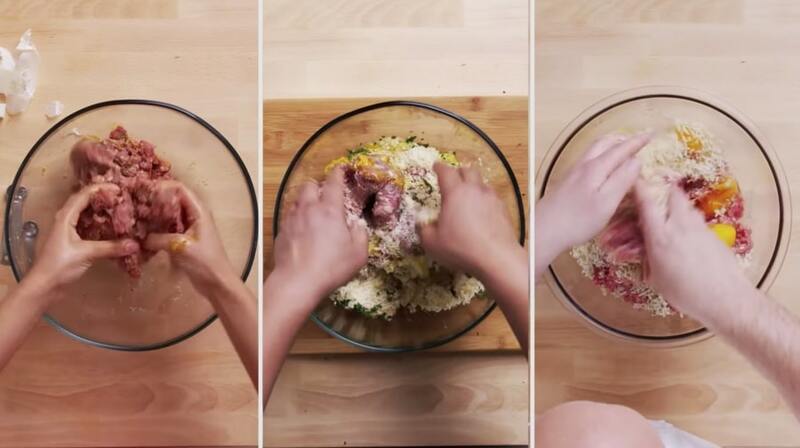 This fast-paced and highly informative Epicurious video shares all: 4 Levels of Spaghetti & Meatballs: Amateur to Food Scientist. Easy recipes in The New York Times: Cook with your kids and Kids in the Kitchen. Plus: Cooking With Kids: 5 Reasons You Should Be Doing It. Related videos on this site: Four levels of chocolate chip cookies, How to Make Tomato Paste in Sicily, and How to Make 29 Handmade Pasta Shapes With 4 Types of Dough.